Usually, the music students ask a question that how to do more progress in learning music using my instrument. No matter you are learning piano lessons, guitar lesson, violin lessons, saxophone lessons or Keyboard lessons in Dubai. The way of dealing with your instrument is the primary key in progress on your instrument. Learning music is a process just like you are learning your instrument. Most of the students want to do progress quickly on their instrument but as they are not using their instrument in a proper way so it seems they cannot progress even if they use their instrument for a long time. The simple answer to the above question “how to make more progress on my instrument”, here are a few tips that make your effort more valuable and makes your practice more effective and efficient. Always use the correct notes. You need to feed your brain the correct patterns. Some music experts say that to learn a phrase play it 7 times but to unlearn a mistake or to correct a mistake you have to practice 35 times. This applies to those mostly who are practicing on keyboard or piano. This is also for the woodwind players with using alternative fingerings. Even if you spend hours to learn something, it will not make you expert if you are not going on a right track. But maybe practicing for half an hour will correct usage of the instrument can make more progress using your instrument. Always continue to achieve your target even if it takes 50 minutes, half hour or 10 minutes. After your music lessons, make a plan for reachable targets and try to catch them during your practice time. At the beginning of session review your work and at the end of each session review your work of the previous session. And thus you will feel the difference that how quickly you are progressing. Metronome is the device that will help to keep you up to a certain point. It will help you to keep your tempo down during you play the instrument. Find the pieces of recordings that you want to learn and listen to them. Hearing it will help you to learn very quickly. During your practice time, there should be no distractions like using a phone, internet, etc. Your focus should be on learning music and not on Facebook posts. If you want to learn music, at Melodica Music and Dance Institute you will learn how can you do progress in learning your instrument. We have professional music teachers from Europe and different locations of the world, dedicated for music classes to kids and adults. 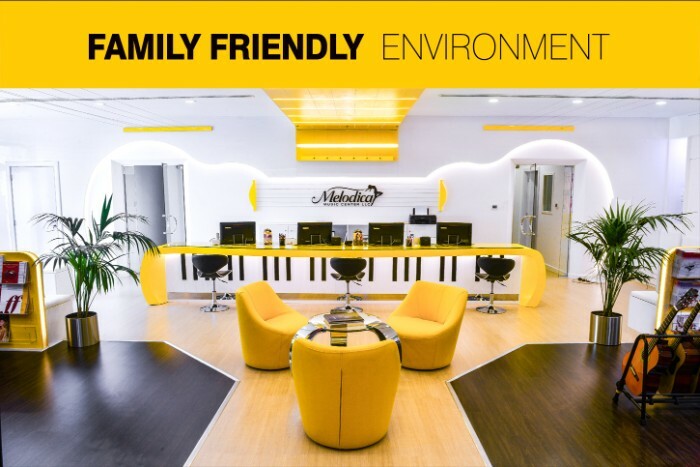 Visit melodica.ae and book your first music class today in the top-rated Music school in Dubai UAE! A lot of kids participate in a physical activity and those activities depends on the interest of your kid. There are a lot of things that kids take interest in; for example, gymnastics, basketball, soccer and a lot of other things to do. However, the most popular among all those activities is dance classes. 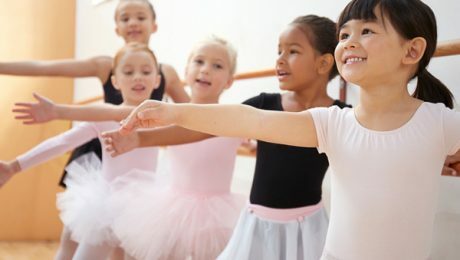 For kids dancing there are different types like ballet and hip hop. From ballet dancing your kid can learn teamwork as it is one of the important things in life. Kids who learn any dance activity in a team, they will be able to remember and use these teachings thought their life. No matter if it is office work or other kind of activity, the teamwork is very necessary skill in life that is used throughout the life. In Dance classes your kid will learn to listen attentively and the most important thing is the discipline. However, these two skills combines and let your kid to be more polite and civilized. Dancing is a physical activity and any physical activity can improve your energy level, boosts your mood and even help you fall asleep. When you are physically active, it will keep your body healthy throughout your life. Besides a physical activity can also decrease the risk of cardiovascular disease. Although it seems that these thing doesn’t matter in your kids life, but these benefits will help your kid as he/she enter into adulthood and it can led your kid to live healthier for a lifetime. Self-esteem is an important factor in life. Kids who have this ability will always, learn new things in life and they will be able to handle difficult circumstances. On the contrary, Kids with low self-esteem will always feel frightened, hesitated and will not be good in learning new things. When you kids show you something that they have learnt and you ask them to perform, will increase their courage and interest in learning new activities as well. The above discussed benefits are just a few that we discussed. However, dance classes has a lot of other benefits that are really useful for kid in practical life. 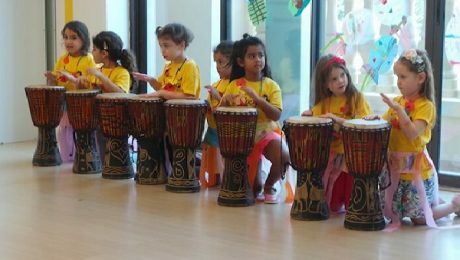 Melodica Music and dance institute is devoted to teach dance classes for kids and adults in Dubai. Visit https://melodica.ae/dance-classes/ and learn more about our dance programs. How Singing Classes can Enhance Your Singing Abilities? Singing is a great ability if you have. You can use this amazing skill in karaoke, school choir, and regional music group or even in a party. 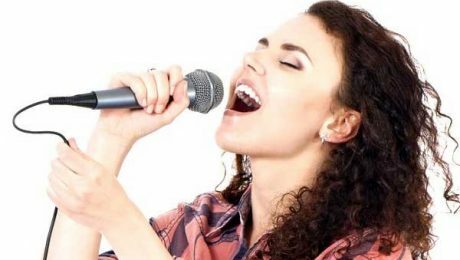 It’s a good practice to always learn music from the best music institute, however, along with that we want to share you some points that should be available in a good singer. However, if you want to take singing classes from any place just keep in mind that what vocal lessons include the following things. The singer must have full control on pitch and should be able to reach the right note every time. To expand the range or volume of your voice so that you may know what the lower notes is and what is the higher note. As there are a lot of styles for singing but how you will adapt your singing style to a separated one. Must have the ability to hold notes for a longer duration. To change the posture and breathing in order to enhance the singing beauty. Enunciating your voice with teeth, lips and tongue. Besides, there are a lot of other things as well to become a good singer and to enhance your vocal abilities. Make your own individual style and learn at your natural speed. Proper techniques are very important as it will help you to enhance your singing abilities properly. Do not use your full breath while singing, because it will help your voice softer. Keep your breathing controlled in order to make your sound resonated. Warmup is necessary before singing and try to rehearse in ascending and descending scales, volume scale controlling and breathing exercises. Self-confidence is a backbone for singing and it can be created from practicing on daily basis. Take care of these things as well: do not smoke get enough rest, do not use cold water and do not wear very tight clothing. However, to learn all these things you need to join a proper music school. The music school will teach you all these things practically and you will be able to sing in a proper way. If you are in UAE and looking for singing classes, just join Melodica Music Institute for singing classes in Dubai. We have qualified teachers from Europe and other nationalities. Just visit melodica.ae and book your free trial class today and be in the best music lessons in Dubai. Music is a great source of entertainment for you. The music effect is the same, whether if it is a village in Africa who enjoy the beats of drums or even if it is New York City, the music is the same for all. The best way to enjoy music is in the form of dancing. Simply take to the floor and try to listen to your folk songs, blues or emo and this the best way to express your feelings to shake your body parts. Another way to enjoy music is to watch the videos of your favorite artist that you may like. By this way, you can enjoy operas and music. For a moment you forget everything. These folks, indie or alternative songs take your consciousness. That’s how music entertains you when you feel it from your innermost being and you feel like in a musical dream. Even without going to operas you can still enjoy the music. You can make your time more enjoyable by inviting your friends and watch your favorite songs through the internet. This will make your mood brighter and will make you all laugh without caring about the world. Music can also entertain you when you visit a disco or club. It’s really a fun-filled time when the light is blinking based on the music played while sipping your desired drink. The folk, alternative, and other songs will make the atmosphere as good as you want it to be. 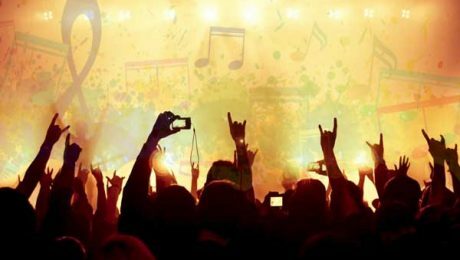 Music as a form of entertainment has been seen on special occasions like wedding ceremonies, parties, and some other events, etc. Without some music attending a party or ceremony, how it would be? And if you have experienced this you will know how dull time it was. Now, imagine! If listening to the music is such an enjoyable and great activity to do then how it would be if you are able to play music by your own using some musical instruments like guitar, piano, violin, drums, etc. If you are a music lover in true meaning, this time you must be willing to learn how to play piano, guitar, violin or drums etc. Melodica music and dance institute offers musical classes in Dubai for people of all ages. If you are willing to join music classes such as piano, drums, violin, keyboard, and guitar classes, just visit www.melodica.ae and register your free trial class! Discipline in dancing is a very necessary factor. Dancing is really an amazing fun-filled activity but if you want to join some serious dancing classes, then you have to know the importance of discipline. No matter what is your dancing activity; if it is ballet dance, salsa, hip-hop or belly dancing, a specific type of discipline is required for each kind of dance. But the main issue is that the new generation has a lot of capability, energy, and talent but still they are unable to continue it because of lack of discipline. When students are starting their dancing lessons so the discipline should be taught early at the age of 5. At this age mostly the discipline they learn is “self-discipline”. However, discipline is required for any kind of learning. The age factor is very necessary for kids in dancing. Kids old than 7 years are usually difficult to teach and control as they know how to answer back and reason out. Besides that, dancing can be one of the best weapons to teach your child about discipline. Dancing can open a lot of opportunities, exploration, and fun for almost every kind of person from young to old. Adult’s love dance, while kids enjoy it and even disabled also enjoy it equally. Furthermore, Dancing is really an amazing activity if you do it as a career, for motivation or for fun. Dancing has the potential to make you feel that don’t lose the hope and in case of failure you will try again and will move on to the next attempt. If you think about wheelchair dancing, it is a tough job to do as it seems; but for those who are doing wheelchair dancing really enjoy it and find motivation in it. Furthermore, they feel like even they are disabled but still can perform such things that a normal person cannot do. They continue until they don’t learn it and this shows a lot of discipline. In short words, discipline in dancing is not a sort of thing from which the students should fear; but they have to understand it. The best thing in dance is that everybody gets in love with dancing very easily. There, everybody loves music & dance and it makes a good character and it makes you a disciplined person and makes your life a good place to live in. When you learn discipline by dancing you will learn life in true meanings. Finally, you will have a clear idea now why discipline in dance is necessary. Melodica offers dancing classes like ballet dance classes in Dubai, salsa, hip hop, belly dance yoga and karate. Join Melodica and feel the essence of our dance classes with our professional dance teachers. Researchers say that musical kids are quick learners than non-musical kids. According to researchers: in future music classes will be used as learning impairment in adults and kids. 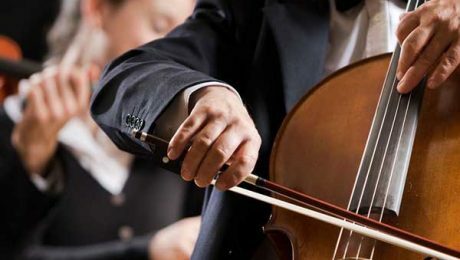 Kids who are taking music classes have an advantage of understanding the statistical patterns very quickly as compared to other students without involving in musical classes; according to a research in Macquarie University researchers. According to another research that has been published by clinical Neuro-physiology says that children who have taken classes of some musical instruments have boosted their statistical learning capability, and to notice the regularities, how to use them and the ability of prediction that what will happen next. An experiment was conducted on kids between 9 and 11 years. Some of them were musical training kids while some weren’t. Dr. Pragati said the lead author from the department of linguistics said that they found that kids who are already taking musical classes performed better in statistical learning tasks. The researchers first detect their behavior related to statistical learning and auditory-related abilities of children without and with musical training. Clearly, the behavioral testing indicated that kids who had taken some musical training were easily able to differentiate between frequencies and rhythm. It also showed they were good in the auditory statistical learning. Another insight was found when the brain activity of the kids was measured in terms of brain activity. It was found that musical training kids brains were quicker to find statistical regularities for both visual stimuli and sounds that shows that music training not only stimulates child’s ability to find the hidden sound pattern but also a visual pattern. These researches indicate that music is the remediation based on music is the best way of treating kids for some particular types of learning impairment. These results makes another idea in our mind that how music classes like piano classes, singing classes, guitar classes, drums classes, ukulele classes or even saxophone classes change the behavior of learning in the human’s brain. Moreover, it could help to compose some programs related to music learning therapies to cure those children who have problems in learning said by Ms. Mandikal Vasuki. Parent often listen to complaints from other people that persuade them to delay their children music lessons until they become a bit older. Or sometimes, your kid is not interested in music classes and you opt to delay your kid’s music lesson and will wait until he/she becomes older. According to a research that shows that from birth to the age of nine, this is a very good time for making music sense in children. At this time the mind of your kid is in the starting stages and processing and understanding of music during this time is very easy. The important fact to discuss here is what is the best time to start music is and what is the motive of music classes for youngsters. If your motive is to make a strong relationship with your kid with music then this should be kept in mind to start music lessons at the earliest after birth and especially within the child’s first year. In the beginning, the music lessons should not be that formal. The parents can act like their kids’ teacher in a musical environment. Parents can assist their kids in music activities like dancing while holding the baby’s hand, musical games or playing an instrument for the kid. Once the child’ age is three, now the time is for a bit formal lessons, but again this is not the time for your kid to play an instrument but to become more familiar with the music and identifying the music beat, melody, and instruments. At the age of five, your kid has created a foundation in music and has prepared for formal music lessons. But again this is not the time for him to be a great performer in the music. At this age mostly violin and piano are played but some people have also tried guitar, recorder, and ukulele in this age with successful results. At the age of ten, your kid has many skills and now he has the choice of which instrument he wants to go. Now he has the physical strength to try a bigger instrument like brass or another large instrument that requires stamina and strength. During this time your kid will take the experience and will improve his playing music performance. In short, what is the best age to learn music for kids? The best time to start a music lesson is the very young age of your kid. 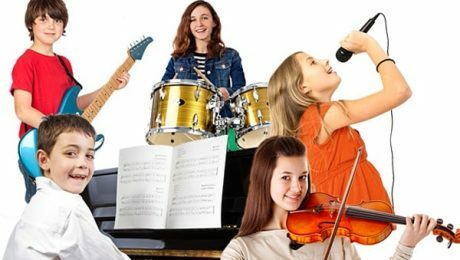 As discussed if you want a strong relationship between your kid and music start learning music to your kid from birth and after your kid becomes older, enroll him in a music institute. Melodica music institute is the top rated school in Dubai for piano lessons, guitar lessons, violin lessons, drums lessons, etc. Are you sure you are behaving properly in your dance class? Most of us know that taking dance classes is one of the full filled activities. No matter you are involved in ballet classes, salsa classes, belly classes, hip hop classes, dancing is a great way for exercising, for fun and to keep yourself healthier. 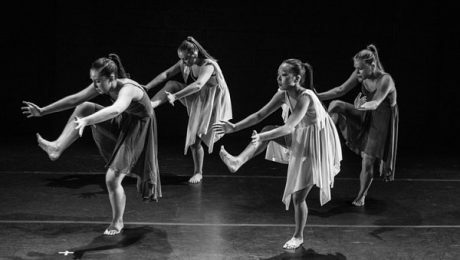 This should be kept in mind that there are some important rules to follow before you join dance classes and it will take you to the top of the class in terms of learning. Reach your dancing class on time. If your dancing class is on 10:00, make sure you are reaching on 09:45 or 09:50. This less time before the dance is very important as it gives a chance for students to warm up and stretches a little. But if you are coming late then there are fewer chances to do a warmup before you start your dance lesson. Your teacher helps you to become a good dancer, so it is important to do respect for your teacher and this is the secret of learning. In dancing, the teacher’s respect also means that hear your teacher and the students shouldn’t talk a lot while your teacher is with you in the dancing studio. It also means that when your teacher is in the class, give him a chance to teach you. Moreover, if your teachers haven’t asked you to correct things to each other, you don’t have to interfere while your dancing teacher is already correcting one of the students in the class, otherwise, it will create a confusion as well as noise in the class. Most of the dancers follow proper dress codes. In case of a female, you must have to wear a black leotard, pink tights and white slippers for ballet. Anyways, for hip-hop dancers, the dress code is a bit relaxed. However, the right dress can help you to become a better dancer as your instructor can observe your muscles more clearly while you are dancing. During the dancing classes try to keep the foods stuff and gums etc away from the class. This can distract you and other students as well as some of the bubble chewers make bubbles or smack the bubble loudly. If you want to make the environment form comfortably for others as well take some breath mind before starting the dance class but finish it before the class starts. Dance class is more than just moving your body and a right class can teach you dedication and discipline. No matter you are a child or an adult dancer, just follow these rules and it will help you to learn a lot of the class. 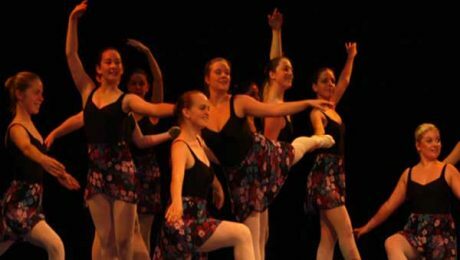 Join Melodica dance classes and to learn dance from the professional teachers from Europe. They are completely dedicated to teaching their students the proper way of dancing. Just visit our website and get to know more about our dancing classes in Dubai. It is possible that your kid will be the next Beyonce but she is bound to achieve the music education. 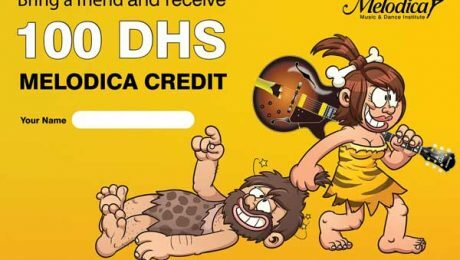 So, you are thinking to enroll your kid in a music institute in Dubai. Here are some basic reasons why you should enroll your kid in a music school. 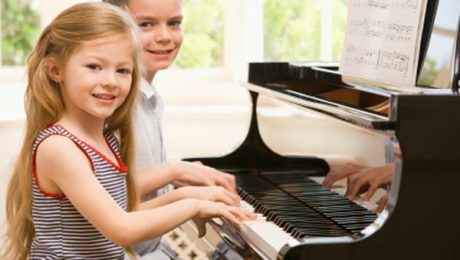 Research has proved that involving your kid in music activities like learning joining piano classes, drums classes, guitar classes or violin classes may increase the mental performance and can enhance your kid’s skills that he may use in other areas as well. When kids involve in these kind of musical activities like listening to music and singing may bring some extra ordinary changes in your kid’s learning behavior. Involving you kid into music doesn’t mean only to use your kid’s voice or finger but sometimes he involves in multiple set of things like using small and large muscles, ears and eyes etc. one of the crucial benefits of music education the language development among those children whose age is between 2 to 9; and this is very important in that particular age as stated by Luehrisen. Moreover, children has all the musical abilities since childhood but they need only to stimulate and enrolling your kid in a musical school may enhance those abilities. According to another research, musical education has clearly developed the brain in terms of language development. While it was observed that music can develop the left side of brain physically that is involved in language processing. As discussed music education helps in language development that is further good for brain development that helps your kid to process music, while musical experience enhances your verbal capability. According to a research by E. Glenn Schellenberg at Mississauga, University of Toronto, they found a small increase in the IQ of six years old who studied weekly piano and voice lessons. And the same experiment was happened with another group; while, no lessons to the third group. While all groups IQ level were tested before studying the musical classes. The children who were provided with the musical education had 3 IQ points higher than the others. The benefits that they got were not only in IQ but also they changed socially. It has been proved by research that children who are involved in some musical activities, can work differently as they have a large growth in the neural activity than others who are not included in musical activities. You will use your brain more if you are a musician and playing instruments. According to another research there is a correlation between spatial intelligence and music. It also means that the abilities of problem solving or math problems solving abilities will be enhanced. According to Christopher Johnson, the professor of musical education and therapist of music from the University of Kansas has proved that students with musical education programs has performed 22 percent higher than those without musical education. Then what are you thinking now? If you are in Dubai and want to enroll your kid in one of Dubai music school, come to Melodica music institute in Dubai. We have music teachers from different parts of the world including guitar teachers, singing teachers, violin teachers, piano teachers, etc.